No manual switching on and off is necessary - the integrated water sensor takes care of that. Li-Ion Battery allows a runtime >1 hr. The battery is conveniently charged via the supplied charger, without having to open the device for it. 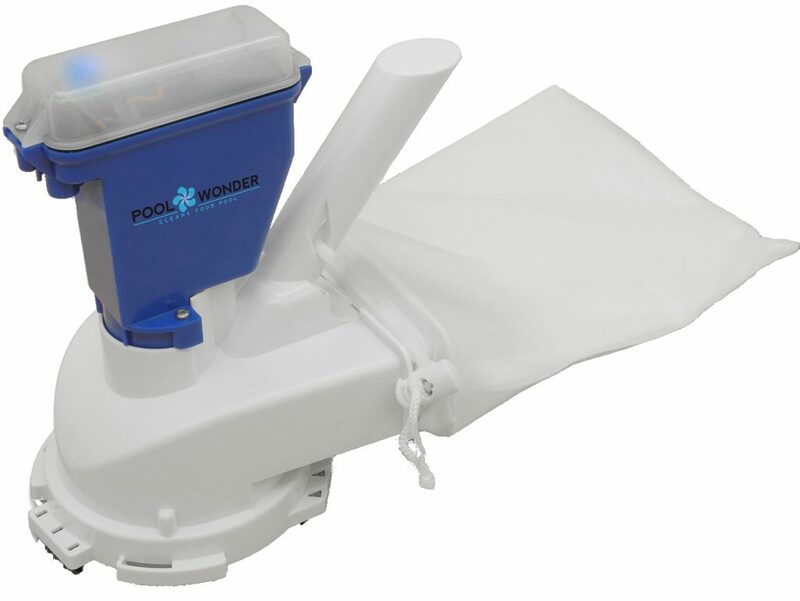 The status LEDs indicate when Poolwonder should be recharged and when the device is fully operational again. The intelligent charging circuit also prevents overcharging the battery. Thanks to the optimized performance, foliage can also be absorbed and the patented design provides the same suction force at the entire diameter of 11 cm. 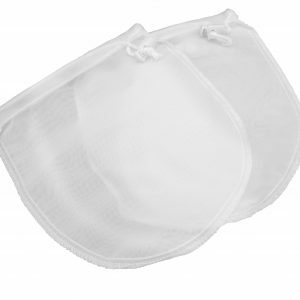 The two supplied filter bags can be reused many times. Note: NOT to filter the pool water in case of water problems! 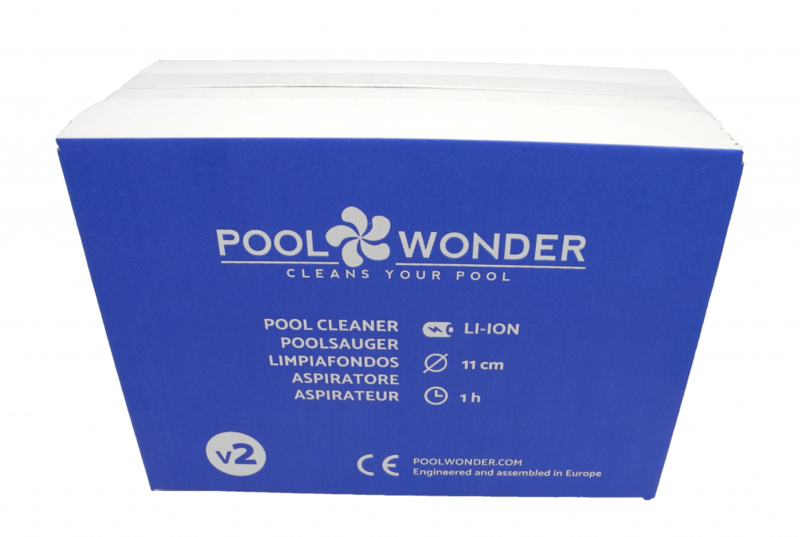 NOT for dust particles, such as chlorine-decomposed algae, Sahara sand and the finest sludge. 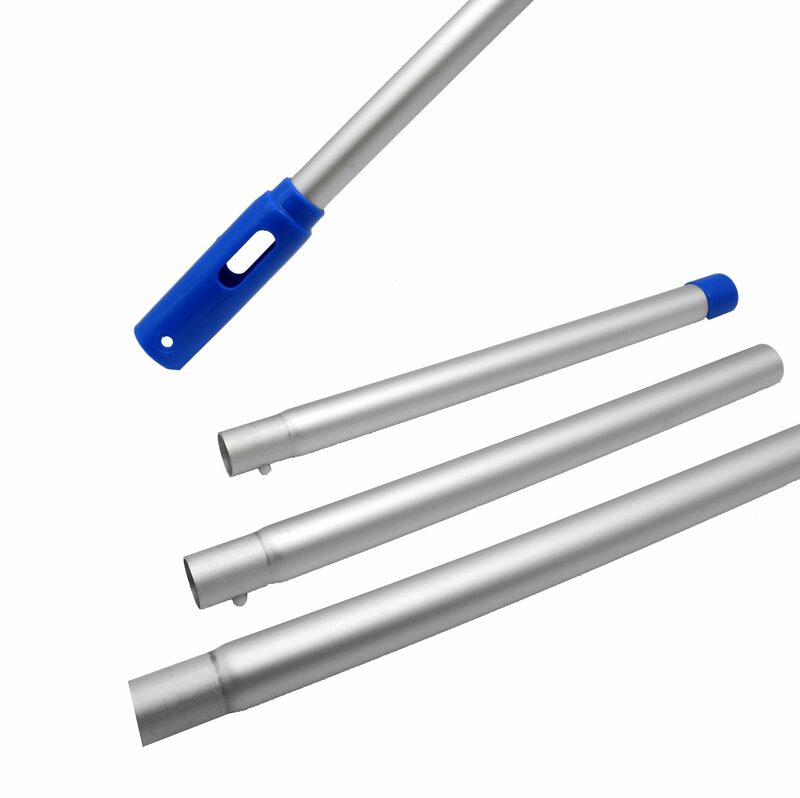 The included 140 cm telescopic pole consists of 5 elements and is easily plugged together. 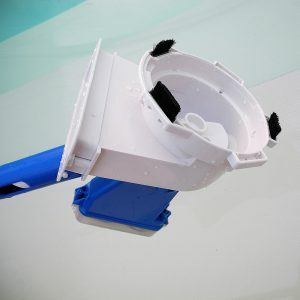 Poolwonder v2 fits on all nets / telescopic poles with standard clip system, which have an inner diameter of 30mm. There are 3 replaceable brushes at the bottom to optimize handling for normal use. If particularly stubborn dirt needs to be removed by scrubbing, 2 additional slots can be equipped with spare brushes (not included). In addition, also the rotor is easy to replace. 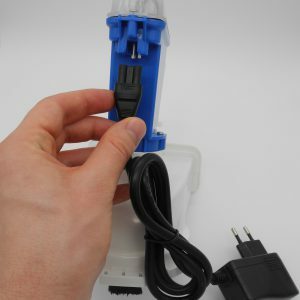 The blue power-on LED will start flashing when Poolwonder v2 should be recharged. During charging, a red LED lights up and when the device is fully charged, this is indicated by a green LED. Full charging takes less than 3 hours!